What Zappa was working on will likely always remain a mystery. Probably working on some new (as yet to be specified) improvements to /bin/cat. 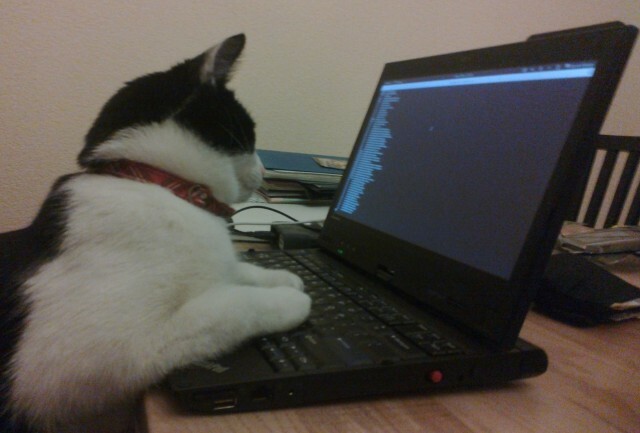 I have to maintain some code that hacker-cat must have written. Thanks! Indeed, we can always use more (good) pictures of cats!